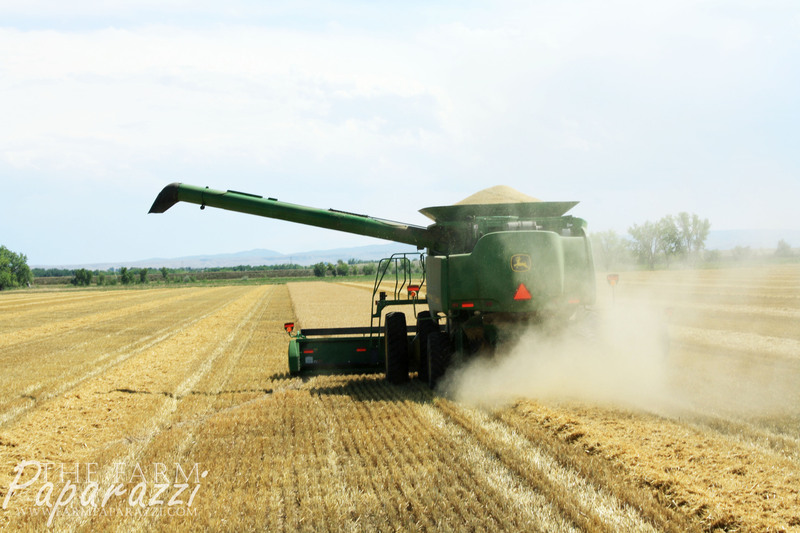 As evidenced by my blog’s header, we’ve been in the midst of barley harvest. 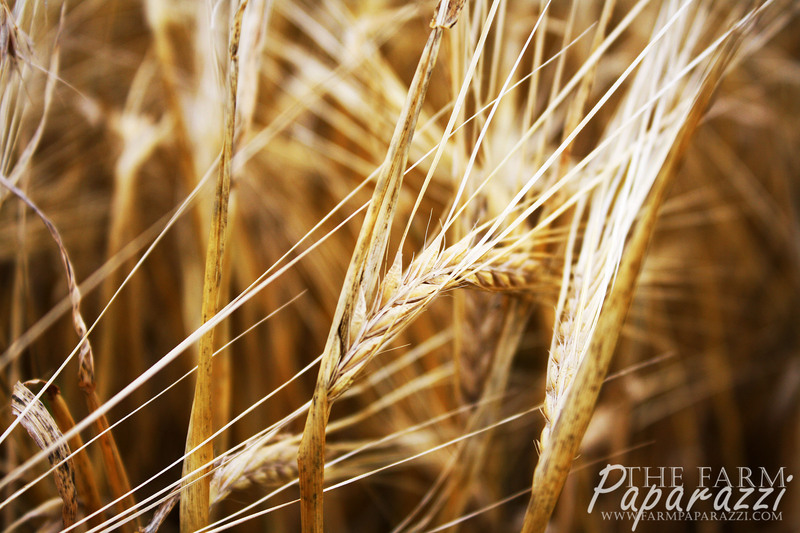 Hooray for getting crops out of the field! It took longer than usual this year because we’ve been getting little rain showers nearly every night for the past couple of weeks – super unusual for August in Wyoming. We’re grateful for the moisture because it’s a “short water year”. There wasn’t enough snow pack in the mountains to fill our irrigation district’s reservoirs, so we had to ration water in late summer and now it’s off completely. We’re also annoyed at the rain because it slows us up at harvest. 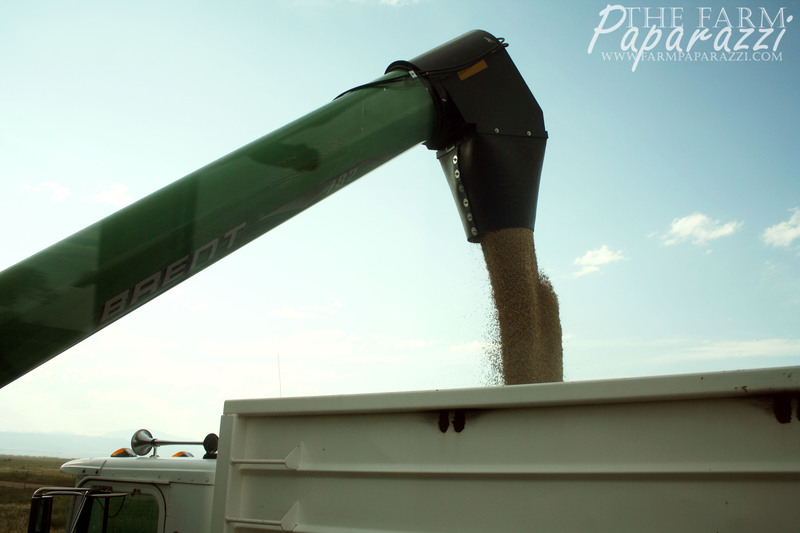 We farmers are pretty bi-polar and hard to please. 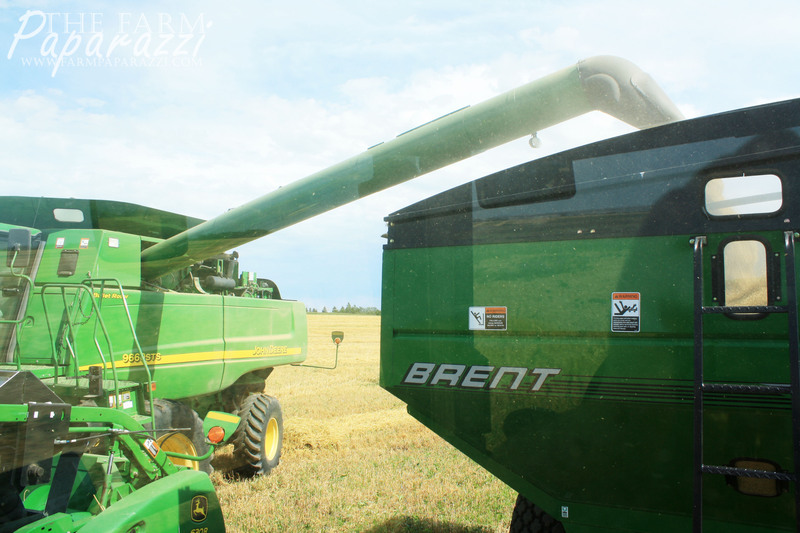 I was excited to run grain cart for part of harvest. I did this last year, too, and I’m happy to report that I was slightly less of a nervous wreck this year. Those pills and therapy are really working! 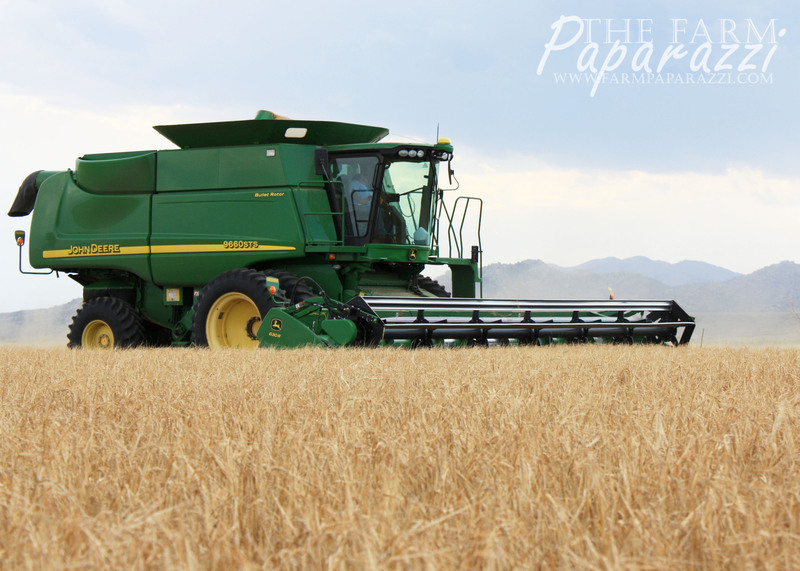 It’s nervous-making to run high-dollar equipment carrying a big chunk of your income for the year. But, I have a good, patient teacher in my husband. He offers guidance and let’s me work. Then he offers pointers and suggestions and leaves me alone again. He’s careful not to criticize, which I appreciate. My ego thanks him, too. 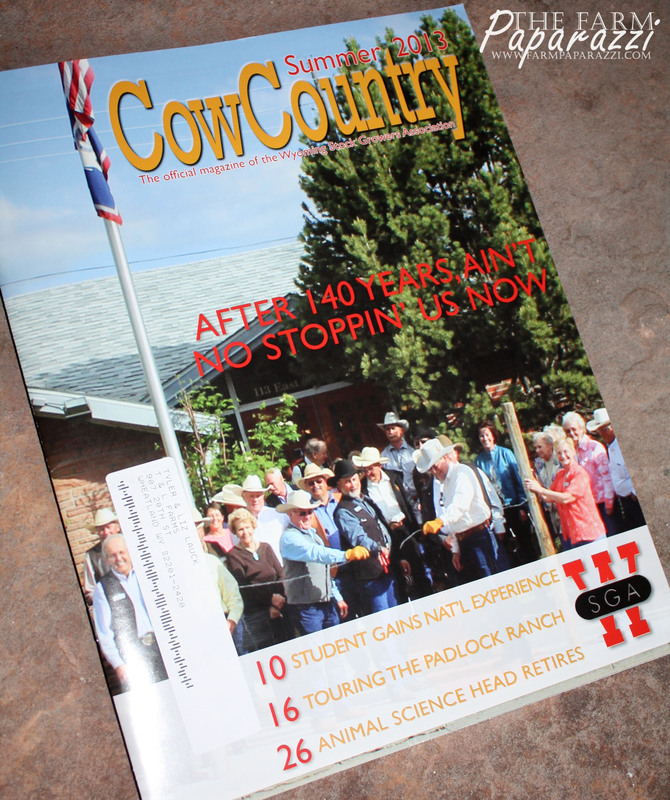 I was also excited to receive the Summer CowCountry in the mail last week! 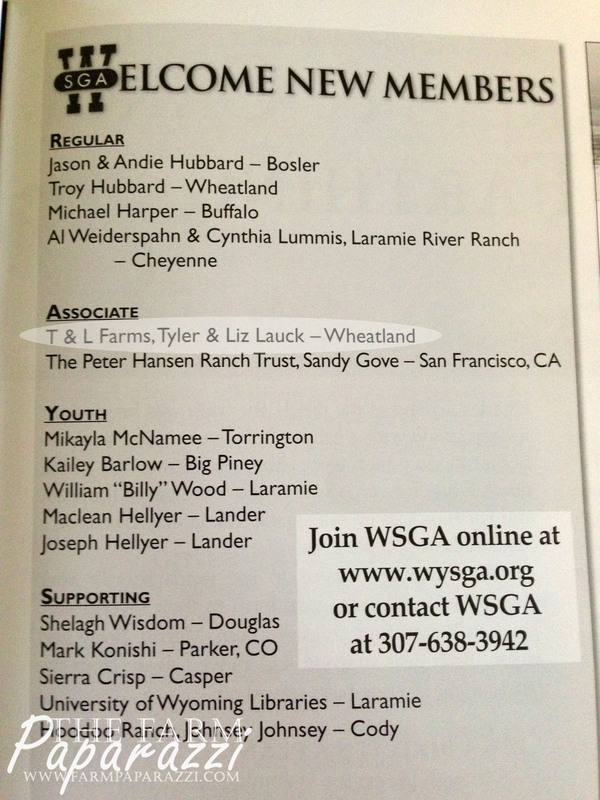 When I abandoned my friends at the Wyoming Stock Growers this spring, they let me temporarily keep my job as Editor of the quarterly magazine. 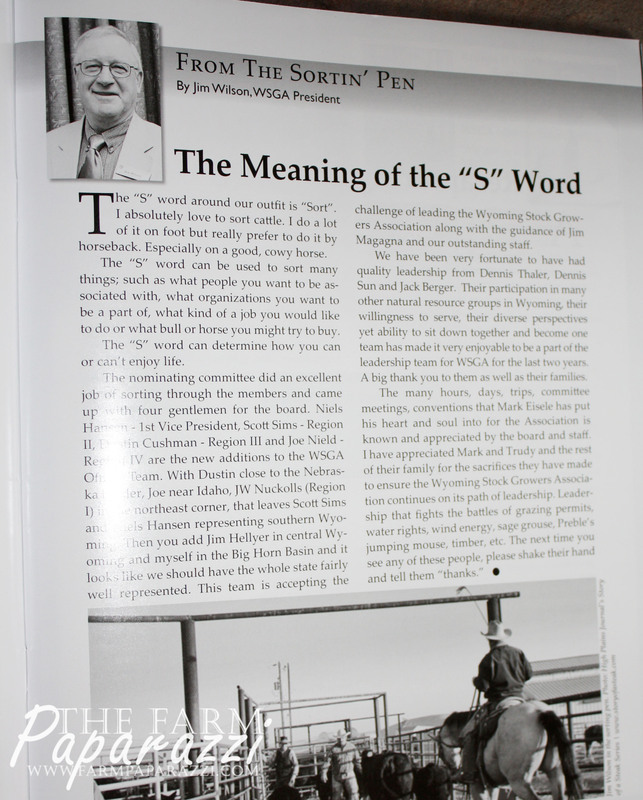 This was my favorite task as communication and publications director and I was thrilled to be able to do a couple more issues. 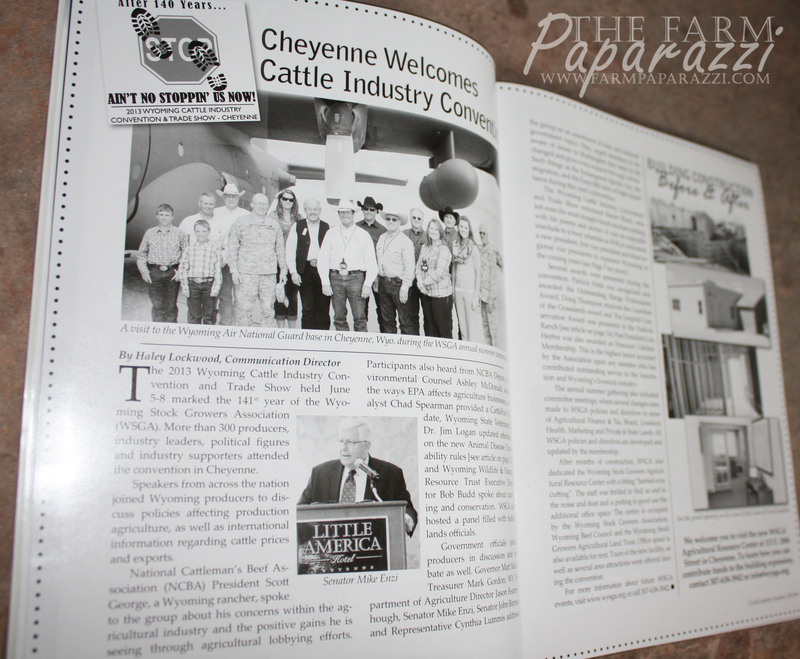 I love the cover…it’s the grand opening of the new addition to the building. All the jack-hammering and drywall dust is gone! …and all of our regular columnists…. 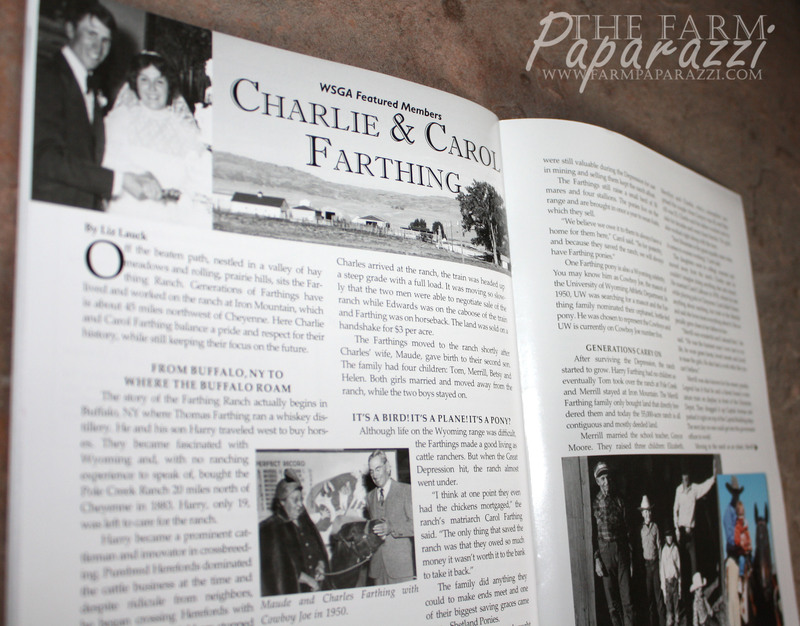 …and I got to interview my good friends, the Farthings, for the featured member story. I love writing, editing and layouts. The magazine is like a gift that keeps on giving, man. I’m so blessed to have work that I love! What’s your favorite part about your job? Not sure ALL the drywall dust is gone, Liz! I keep finding little pockets of the darn stuff. Glad your harvest is going well and I’m looking forward to the pinto beans. That stuff is terrible! At least there’s no more jack hammering. 🙂 We are looking forward to the beans too…I’ll bring you a sack of pintos and whites if they both make it out of the field. It was so great to see you the other day! Thanks for stopping by Suzanne! I checked out your blog and can’t wait to delve in further! Thanks Angela! Sometimes all it takes is a manual setting and a few tricks in Photoshop. Ha! I’m hoping someday to learn more about photography. Are you still studying photography in between being a wife and mother?